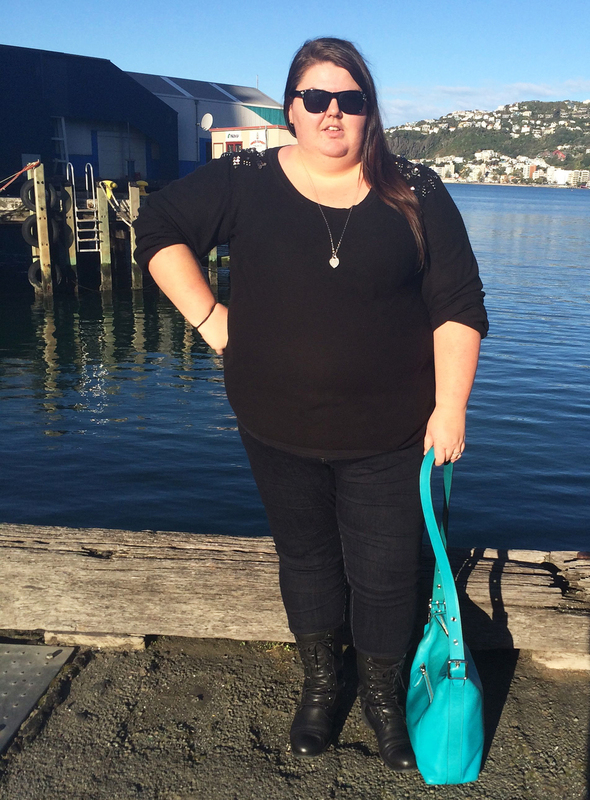 I looked long and hard last winter for a pair of lace-up boots and I failed. Technically I did find a pair at Ziera, but by the time I did, they had sold out in my size. (I wear a 43, which is an 11/12.) So this year when the boots started to hit stores (March!) I got in there quick smart to see if they had anything I liked. Well, Ziera provided. They brought out the same boots in slightly different colours. Even though these cost $300, they were worth it. They are ridiculously comfortable, they are made of leather and the sole is yet to show any wear even though I have been wearing them a fair bit. I expect them to last me a few years and I should be able to get the soles replaced if needed to make them last even longer. 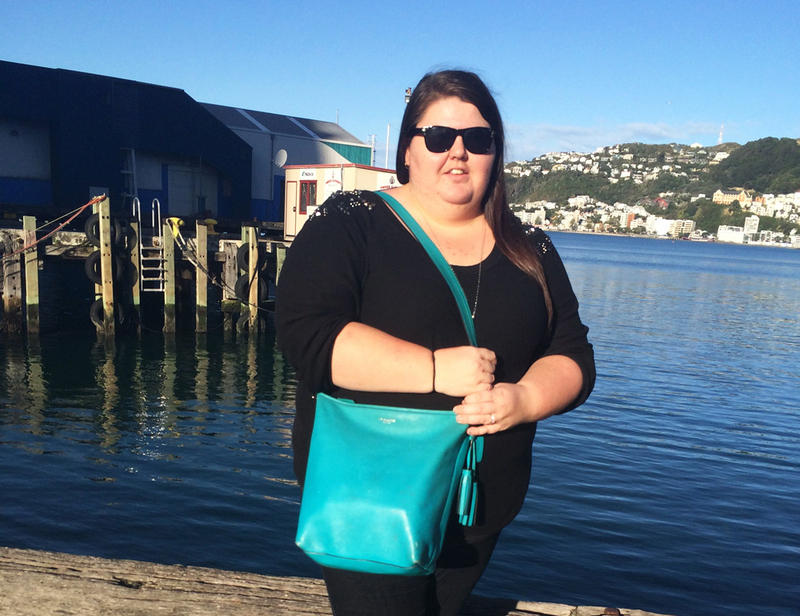 I kept the rest of my outfit plain as my handbag is such a statement colour – jumper and jeans. 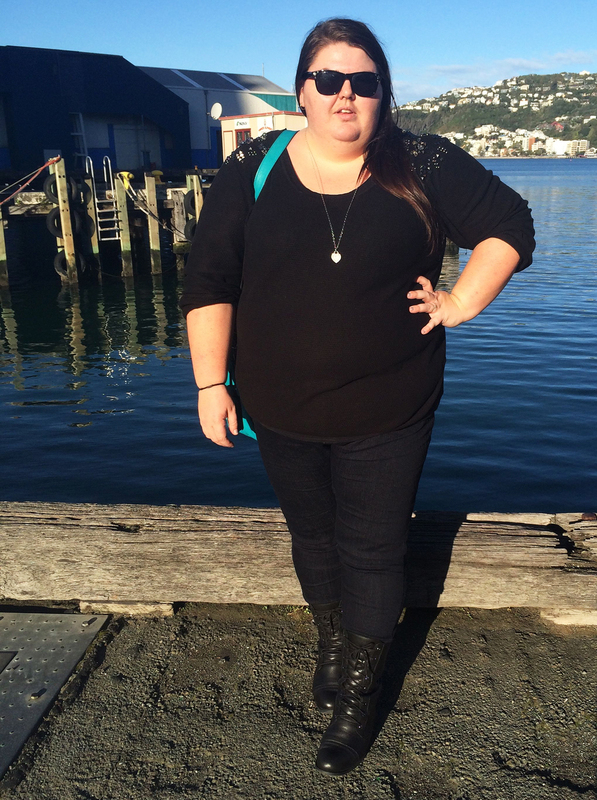 Perfect outfit for a day of walking around Wellington looking at furniture and catching up with a few friends. Oooo yes! A bag like that will serve you well for a long time. A very long time. 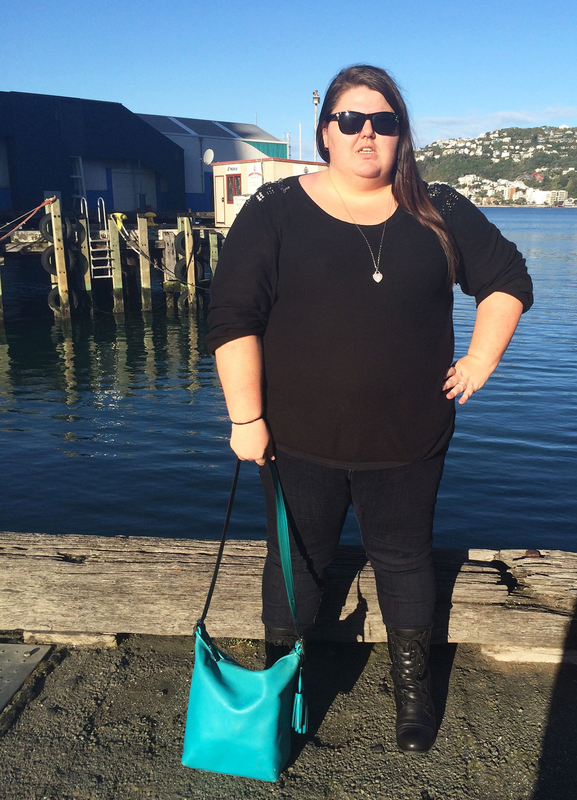 Love the pop of colour with the more monochrome outfit and seriously digging those boots! Thanks Melissa! These boots are amazing. I’m so glad I found them.